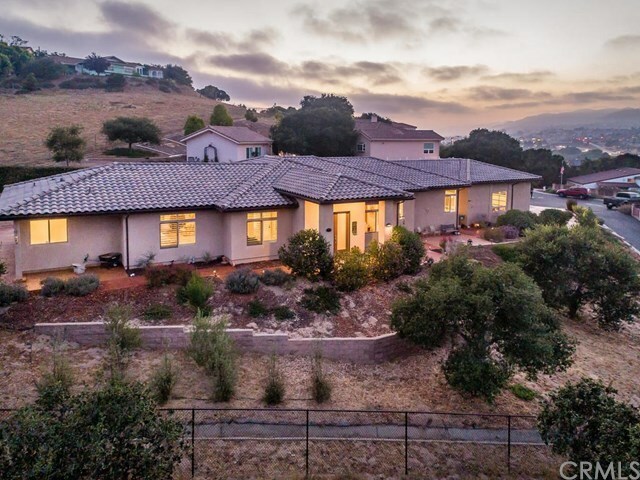 Impressive contemporary home located in the Oak Meadow Heights Estate and is a short distance to beautiful beaches, Monarch Butterfly Grove, restaurants and shopping. Create lifelong memories in this gracious 3,300Â± sq. ft., 3 bedroom, 2.5 bathroom home that offers an open floor plan, high ceilings, a Chefâs dream gourmet kitchen with stainless steel appliances, a center island, quartz counters, large pantry, formal dining room, separate office/library and a mud room. The master suite retreat features dual vanities, deep soaking tub, walk-in shower, and huge walk in closet. Handsome Del Mar oak hardwood floors in the living areas and the master suite, tile flooring in bathrooms and laundry room. Enjoy the Central Coastâs mild weather or the beautiful sunrises and sunsets on the wrap around outside patio.